Support your career decision making and career planning. Develop the employability skills and experience needed to succeed in employment or postgraduate study. Find out more about the services available below. Visit the Careers & Employability Service web pages. Support with individual career queries at the annual Placement and Preceptorship Fair. how to access support from the Careers & Employability Service. You can also access individual careers advice and guidance from Paul and colleagues at the Careers & Employability Hub (see contact details below). Career Navigator is the University of Plymouth’s on-line careers and employability portal through which you can access a wide range of interactive resources and e-learning tools. Please read the guide for an explanation of how to use Career Navigator to locate the information you need. In line with the direction of travel towards more integrated, home and community-based services, opportunities are increasing for newly qualified nurses to enter the profession in a range of community settings. At the same time, acute hospital settings continue to offer many opportunities. NHS jobs is the key website for vacancies across the NHS, including independent and private sector organisations delivering NHS services. Note that some providers do not always advertise on NHS jobs, so if you have a particular employer in mind you should monitor their website and / or follow them on social media to keep informed of vacancies. Job opportunities are advertised throughout the year, but some organisations target their recruitment at specific times to attract cohorts of newly qualified nurses. The periods April – June and October – December are often when large scale recruitment takes place, though this will vary across providers. It is useful to monitor the websites of larger employers at these times and keep an eye on the NHS jobs website. Job vacancies have traditionally been aimed at stage 3 students, but some employers are starting to accept applications from students in stage 2. As part of your programme, you will have the opportunity to attend lectures covering how to complete successful applications and interviews. These are delivered by Paul Gillard, the Careers Adviser linked to the School of Nursing and Midwifery. For more information see Careers Support in the Curriculum (above). There is some useful guidance on completing applications and interviews on NHS jobs. In particular, the importance of providing examples of where you have demonstrated the criteria in the ‘person specification’ cannot be overstated. Please also see the guidance from RCN on applications and preparing for interviews. an interview simulator to enable you to practice your own interview technique. 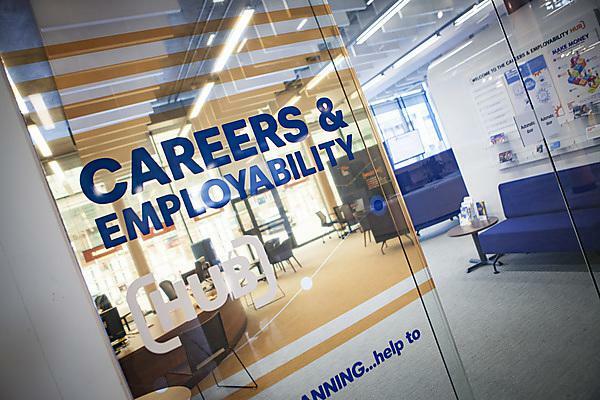 The Careers & Employability Hub is based at the Plymouth campus and is your one-stop-shop for careers information, advice and guidance support. You don’t need an appointment, just drop in and speak to our employability assistants about the help you need. You can also book an appointment to discuss your career plans in depth with a careers adviser. If you are away from Plymouth, you can still access support by email, telephone or Skype.